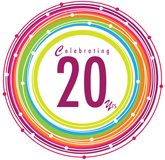 Twenty years ago CTG opened its doors as an applied research center at the University at Albany. We were charged by then New York Governor Mario Cuomo to “pursue new ways of applying technologies directly to the practical problems of information management and service delivery in the public sector.” In 1993, there were no government agency websites, no mobile devices, no social media, and no cloud; the potential of information and technology as tools for service delivery and as a means to change the relationship between citizens and their government was just beginning to be realized. Just one year later when the White House launched its first Web page we knew the world had changed in a way that would make the work of CTG even more critical to New York State and to governments around the world. CTG was the “first of its kind” providing an innovative model of public-private partnerships where government, academia, and the corporate community could partner on experiments with technology to learn what worked, what didn’t, and why. From the beginning we committed to sharing what was learned. As part of our 20th anniversary celebration, we highlight some of the timeless lessons we’ve learned and how our work, grounded in those lessons, has made a difference worldwide. Our celebration continues with a look at how our research and practice expertise is being used to educate the next generation of public sector leaders. We also include a birds-eye view of the impact of our work. Over the past 20 years, we’ve completed 75 projects, have on our staff five of the top ten scholars in the global digital government research community, seen our work cited 9,000 times, and we’ve received 26 awards and produced 465 publications. These numbers matter certainly, but at the root of this record is the extensive global network of colleagues who have partnered with us on our founding principle—that for government to effectively use technology to transform public service delivery and citizen interaction with government, we must focus on how technology, policy, and management interact. One of the most satisfying legacies of CTG’s first 20 years is our network of government and industry partners, researchers, and graduate students; they are an integral part of CTG’s story. We were pleased to welcome these and many other colleagues to Albany when we hosted the 2012 International Conference on Theory and Practice of Electronic Governance (ICEGOV). Hosting this important and unique conference was the perfect way for us to kick off our 20th anniversary celebration. More than 350 of our colleagues from 62 countries came to Albany to celebrate with us. The team here at CTG, led by Jana Hrdinova, Meghan Cook, and Natalie Helbig, ensured that friends and colleagues, old and new, were greeted warmly and challenged intellectually. Their vision and determination made ICEGOV 2012 a wonderful success for all involved. Our work over the past year and our agenda going forward continues to advance understanding and provide expert guidance to governments at all levels. How value is created through the process of opening government data and what capabilities are necessary to create that value are among the questions guiding our work. We are working with governments to understand how their data is being used and how usability of that data can be increased. One example is our project to better understand the value of air quality data for government agencies, community organizations, researchers, and individual citizens. Case studies in Denver, Atlanta, and Kansas City show how value multiplies when data are accessible, understood, appropriate, and usable by different kinds of users for different purposes. We are also engaged in research to understand what is known about how to collect data, manage it, and share it in ways that reflect the principles of data stewardship; how cities can leverage technology and data analytics to deliver newly informed programs and services to transform the life of their residents; and how can we best support the growing communities of scholars who specialize in data analytics and policy informatics. All reflect our commitment to improve the way governments serve and engage citizens through innovations that integrate policy, management, and technology. We look forward to 20 more years of work grounded in the view that technology has the potential to transform government. But understand it is a tool, like many, to be used by those committed with an entrepreneurial spirit to improving the way governments serve and engage citizens.